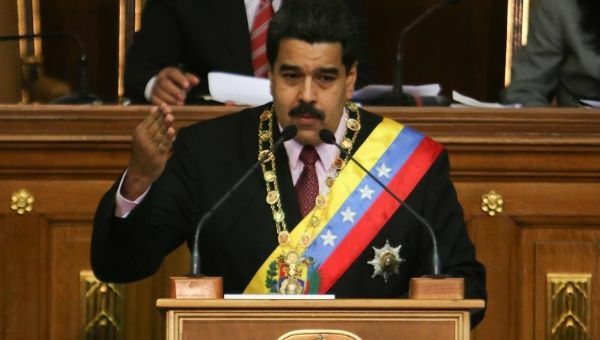 In an exclusive interview with TeleSUR, Maduro said on July 8 that Venezuela was facing a destabilising campaign by the oil company, Exxon Mobil. “There is a brutal campaign against Venezuela, this is financed by Exxon Mobil,” Maduro said on the border dispute that has flared up with Guyana. “It’s a campaign to corner Venezuela, in order to lead it to high-intensity conflict, to undermine the policy of peace that we have implemented,” he added. On July 6, Maduro ordered a thorough review of diplomatic relations with Guyana, warning that he will recall the ambassador. Despite a long-running border dispute, which dates back to the colonial period, Exxon Mobil reported a major oil discovery after being given unilateral permission to explore the disputed territory of Esequibo through an agreement with Guyana. Venezuela considered that agreement a violation and called for a dialogue between the two nations to settle the dispute. However, on July 8, Maduro emphasised that according to the Geneva Conventions of 1966, the British had acknowledged that the recognition of the disputed territories was still pending, “They recognise it’s a case that still needs negotiation,” he said. Maduro added that the territory was historically significant for Venezuelans as it was fought for by liberation fighters in the war of liberation against Spain. “The Esequibo was not a gift by the British empire, it was defended by our liberators, the blood of our liberators is there,” he said.